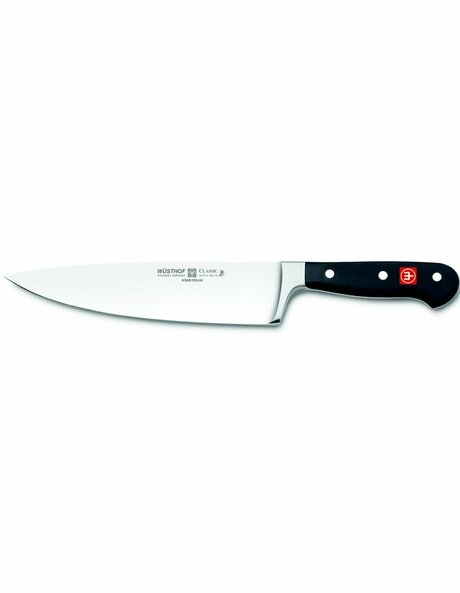 Slice, dice, and mince your way through your favourite recipes with the WUSTHOF TRIDENT Stainless Steel Cooks Knife 20cm. An essential for any kitchen, think of this perfectly balanced knife as an extension of your hand. Developed in consultation with professional chefs, the ergonomic handle makes knife handling a breeze no matter what task you put it through.